Hi guys, wishing you all a very happy New Year and hope your start to the New Year has been blissful! 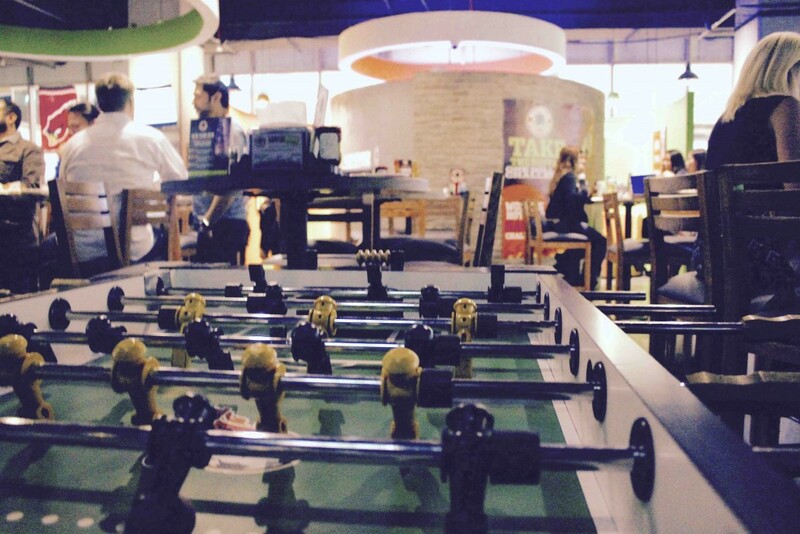 Today we would like to review one of our favorite sports bars in Dubai; Original Wings & Rings. 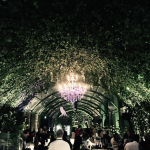 Located at the heart of DIFC, this place is your ultimate go–to hang out spot for relaxing with a bunch of friends whilst enjoying a drink or two. 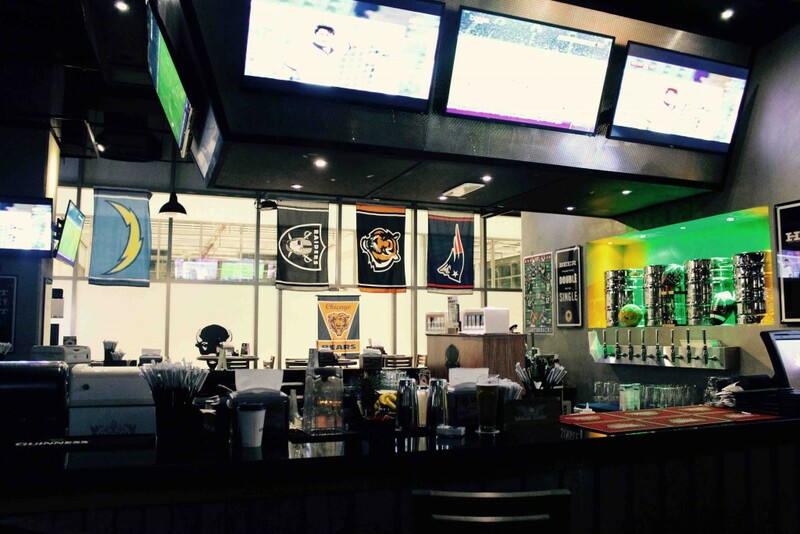 This American themed sports bar has everything you would want from a night out, live music, drink deals and fried fast food. 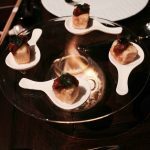 We love how it makes it a perfect spot for us to wind down after work and enjoy drinks with our favorite appetizers! In addition this place covers various live sports matches such as American football, cricket, basketball, hockey, golf and tennis. The interiors immediately catch your eyes the moment you enter the bar. 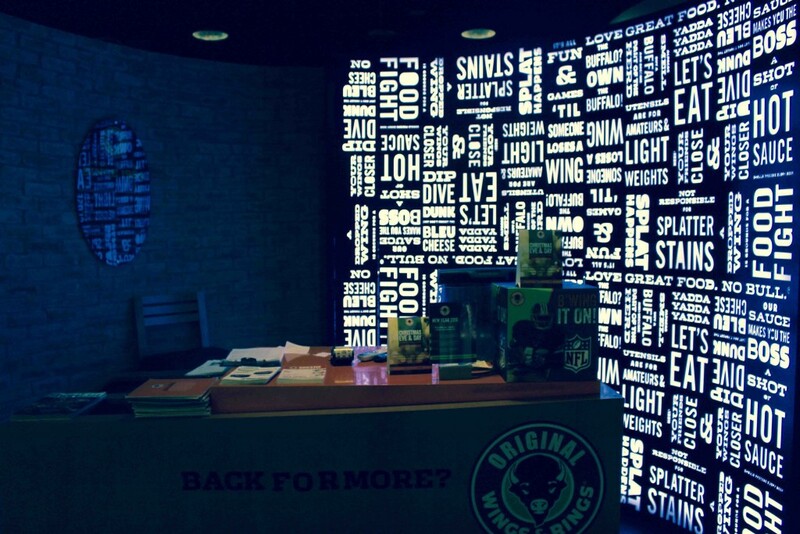 We absolutely loved the funky typographic lit entrance and quirky quotes all over the walls of the bar, adding on to the fun and laid back vibes of this place. Involved choosing between traditional wings, boneless wings and tenders. Our choice being the boneless wings comes inclusive of 8 boneless wings, fries, bleu cheese dip and ranch dip. Included picking your choice of flavor for your wings, we started off by tasting all of their unique flavors of sauces from a selection of 10. 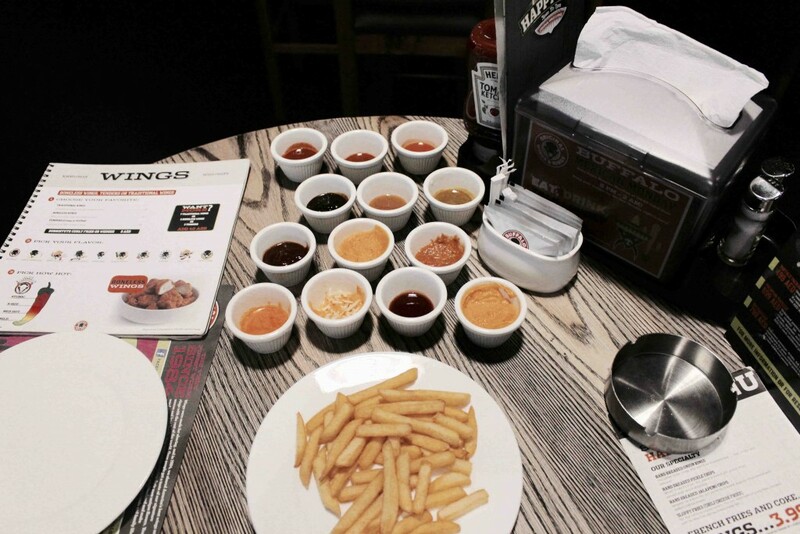 The flavors included Buffalo, garlic parmesan, sweet & sour, roasted garlic, sweet bbq, lemon pepper, crazy and teriyaki. Our server was generous enough to get all these flavors to our table making it easier for us to choose. This just made our overall tasting session so much more fun. We absolutely loved the sweet bbq and the crazy! The next step was to pick how hot you want your wings to be, the scale included MILD (being the least hot), MED-HOT, X-HOT and one million atomic (being the hottest!!!!!). A note of caution: the one million atomic sauce is so spicy that they actually make you sign a waiver before you choose to try it. 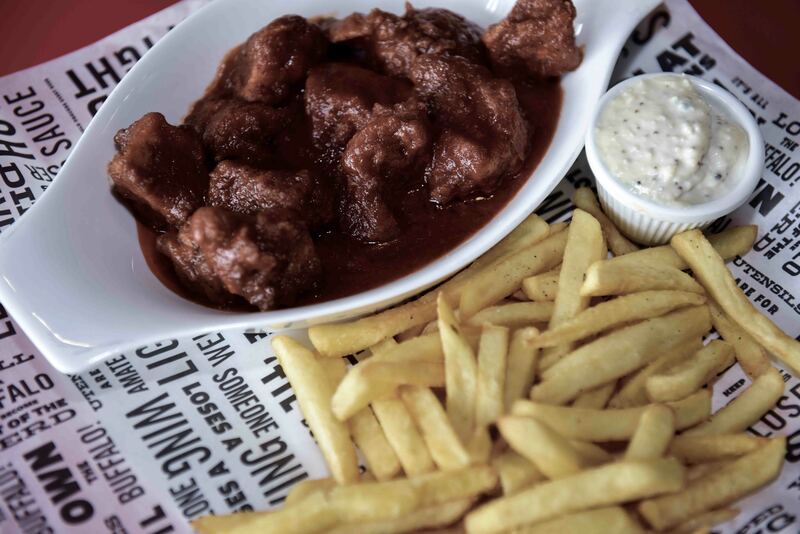 This choice is ideal for spicy food lovers. We generally do not enjoy excessively spicy food; hence we went for the least hot sauce. Although, personally we do not recommend this step at all, as we feel the presence of Tabasco completely overpowers the flavors of the sauces these wings are glazed in. 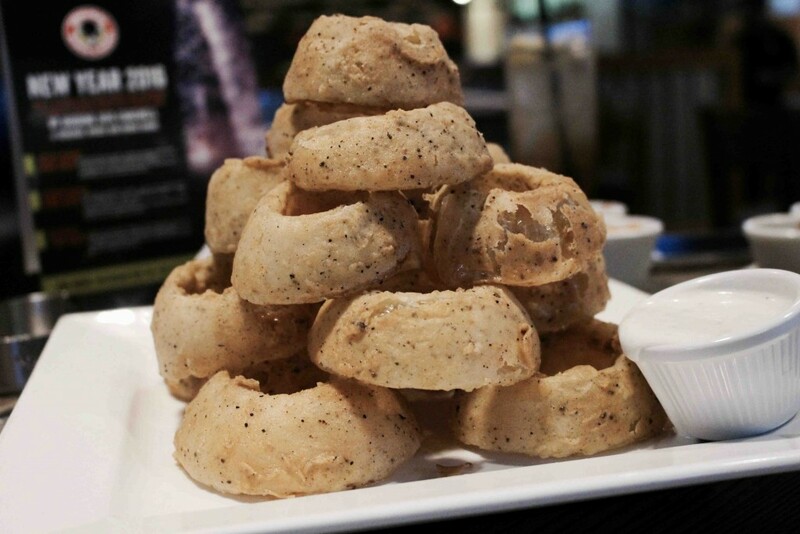 Moving on to the appetizers, these included their famous hand breaded onion rings; these rings are not your regular fast food onion rings! They are made of delicious white sweet onions and hand breaded by the chef accompanied with a rich and creamy ranch sauce. We couldn’t get enough of this one! These are definitely a must try on their menu. 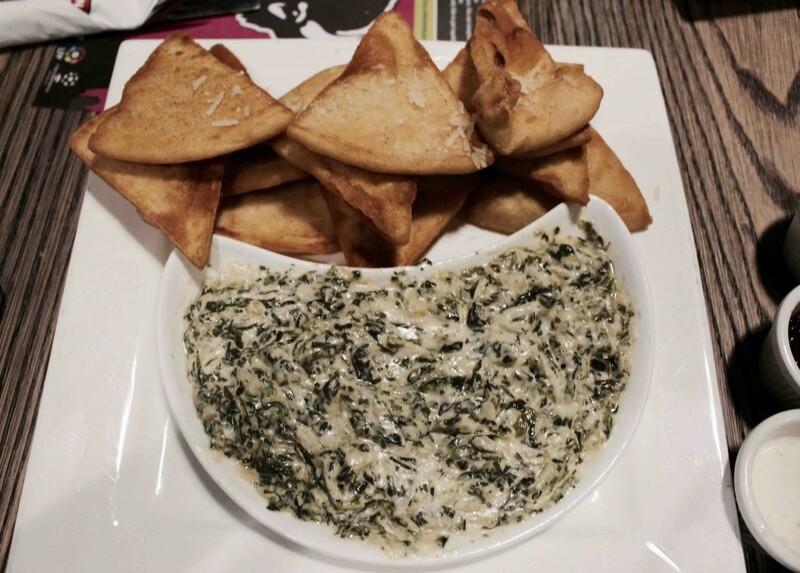 Our next appetizer was a beautiful balance of spinach and artichoke blended with some Parmesan and mozzarella cheese served along with freshly flash fried pita chips. MMMM! We were in cheese heaven with this one. Our final appetizer was their very cheesy Nachos; these chips were deliciously drenched with melted cheddar cheese and jalapenos. 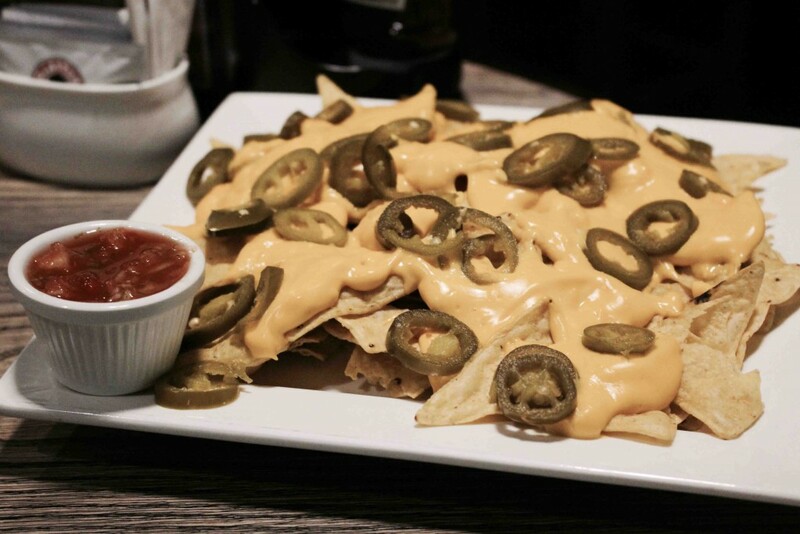 There’s a world of difference between goey-yummy-crunchy-salty-awesome nachos and soggy nachos. This was definitely one of the best we have tried in a long time. All in all, we loved this beautiful mess! 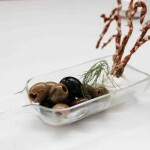 To conclude, the service was good and the staff was very attentive. 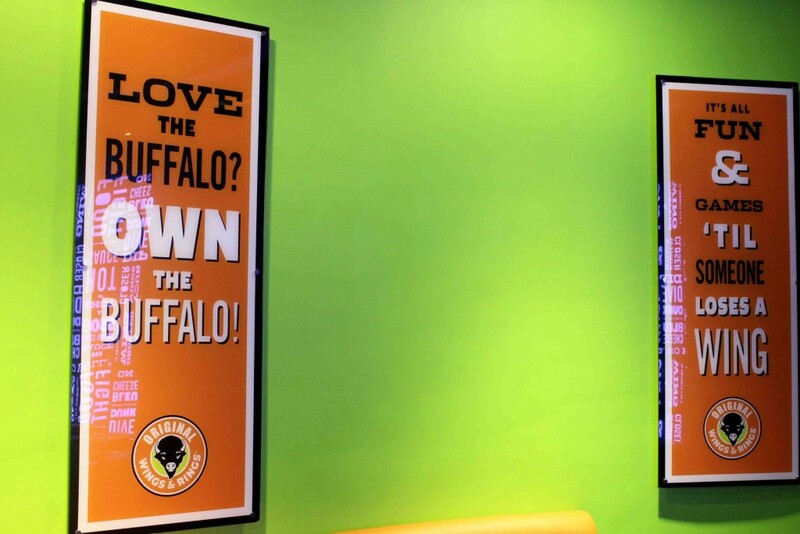 The original wings and rings is a great place to enjoy good food with your friends during any time of the day. 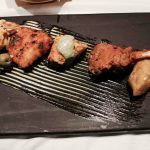 The food quality, variety and the ambience will undeniably keep us coming back for more!